In this clearly written study of snakes around the world, kids will find out where snakes live, how they use their senses, how they move and much more. 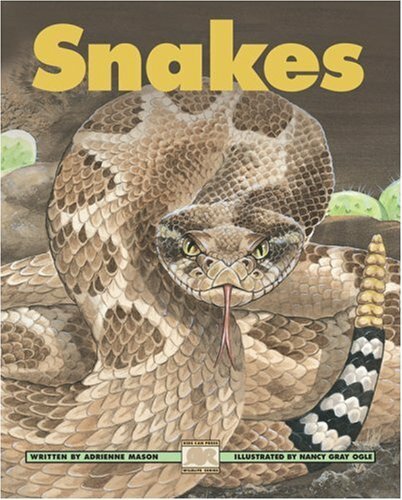 Easy-to-read text and accurate, detailed illustrations meet the research needs of young children and satisfy their curiosity about these fascinating and often misunderstood reptiles. About Nancy Gray Ogle (Illustrator) : Nancy Gray Ogle is a published illustrator of children's books. Some of the published credits of Nancy Gray Ogle include Looking at Wild Cats (Kids Can Read), Skunks (Kids Can Press Wildlife Series).